Good morning. I just received copies of my book Ready...Set...Tweet! 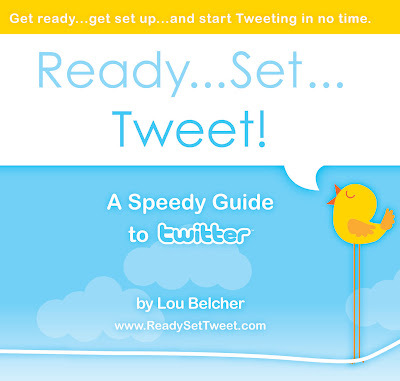 A Speedy Guide to Twitter and it is now available on Amazon. If you are new to Twitter or know someone who might need some help getting set up and started on Twitter, I've written this book for you. The book is short and to the point. It tells the how-to of it all, complete with screen shots to help you understand what to do. In addition, it covers the uses of Twitter and particularly how to use it to help market yourself or your book or product.